Houses & Homes VA: Home Sales in the U.S. Reach a 9 Year High! Home Sales in the U.S. Reach a 9 Year High! Real estate sales are on a huge upswing and that is good news for everyone. In fact, nationwide pending home sales have reached their highest level in the past 9 years (according to the National Association of Realtors) and that is something that should make everyone very happy. It is fair to say that the real estate market is an excellent indicator when determining the state of the economy in general and when this market does well, the entire economy is sure to follow. Based solely on the number of signed contracts, the The Pending Home Sales Index (PHSI) shows a very credible 3.4% increase in sales as compared to March. 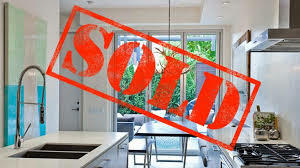 This not only represents the largest increase in sales since September of 2012 but places the number of home sales at its highest point since May of 2006. This is surprising considering that inventory is considered to be quite low in many metropolitan markets. An increase in inventory will be needed however if this upswing is to continue.